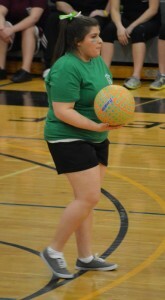 This years annual Dodgeball Madness was on March 19,th 2013. The event was hosted by The Student Events Board(SEB), which is one of the largest clubs on campus. SEB works to organize and host a variety of campus events throughout the school year for students. 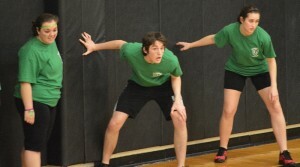 Cynthia Crudale, Joe Conway, Kelley Tisinger ready to Dodgeball. 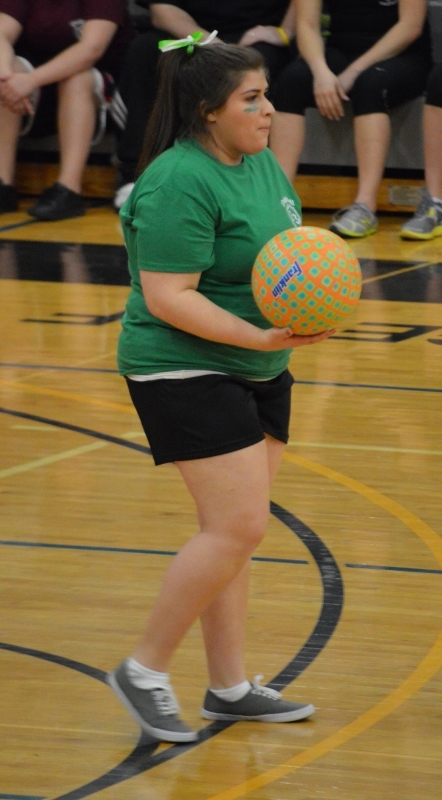 Dodgeball Madness is a huge event at Saint Rose and highly anticipated by students and staff. Overall, thirteen teams participated in six minute playing sets, the final round was ten minutes. 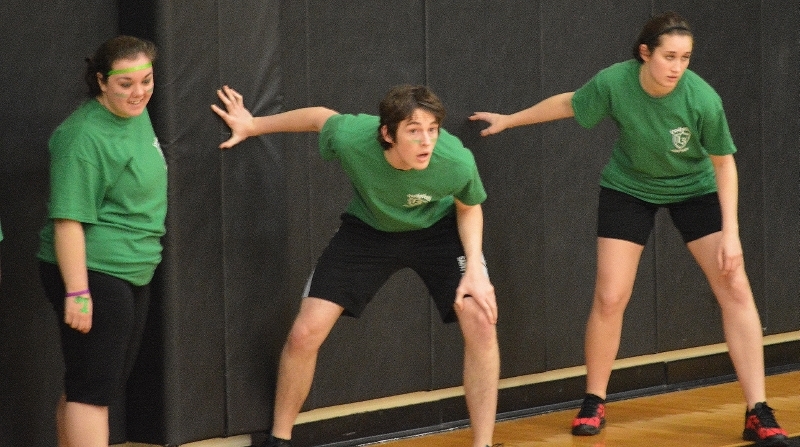 Official Dodgeball regulation rules were followed, as well as campus policy rules. Between game sets there were performances by the Golden Knights Dance Club and the ALANA Steppers. This year the main team to beat was the defending champions The Soccer Club, who sadly didn’t make it past the first round, falling to an amateur team. The champions of Dodgeball Madness 2013 are the OGS. The team I participated on, Phantom Menace, also failed to make it past the first round. The words Michelle and competitive sports don’t usually mix well, to say I was anxious about playing would be an understatement. Going into the game my team was light hearted, and was at least hoping to make it past the first round. After actually playing, the experience was definitely not as bad as I thought it was going to be. I had fun with my best friends, and have something to look back on and laugh about. 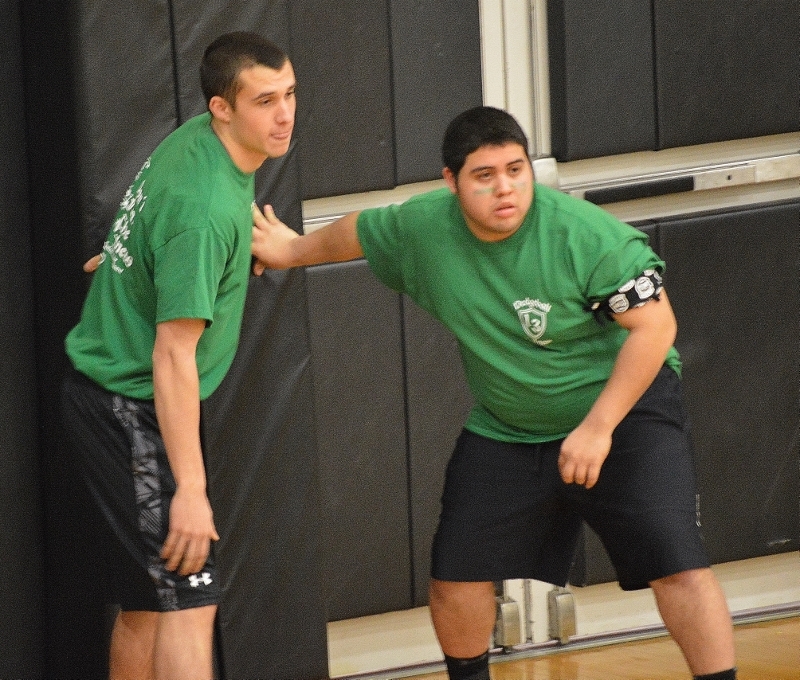 Alex D’Alfonso and Chris Alvarado ready to Dodgeball.